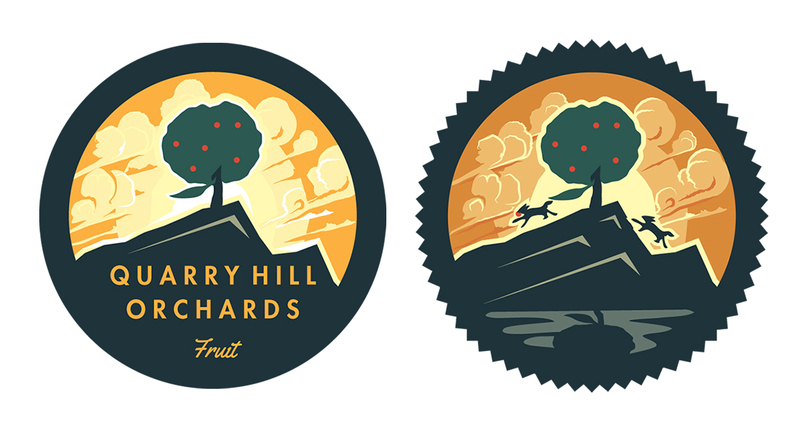 Clients Brooke & Ben came to Go Media looking to explore what the next chapter of the Quarry Hill Orchards brand could look like. After visiting the apple farm, we began our process of exploration with the intent to refresh the face of the farm, and explore some fresh ideas for the future. Here we see the final, ambidextrous sign logo. The design was based on an existing piece of signage that has lived at the farm for many years. Through the design concepting and exploration rounds, the sign solidified in the clients mind as the most authentic, classic identity for the Quarry Hill Brand. Below you see some behind the scenes work we executed during the project. In order to land on our final direction, we first explore a variety of concepts along the way. First up are two excerpts from the initial rounds of the process where we write potential concepts to further develop. 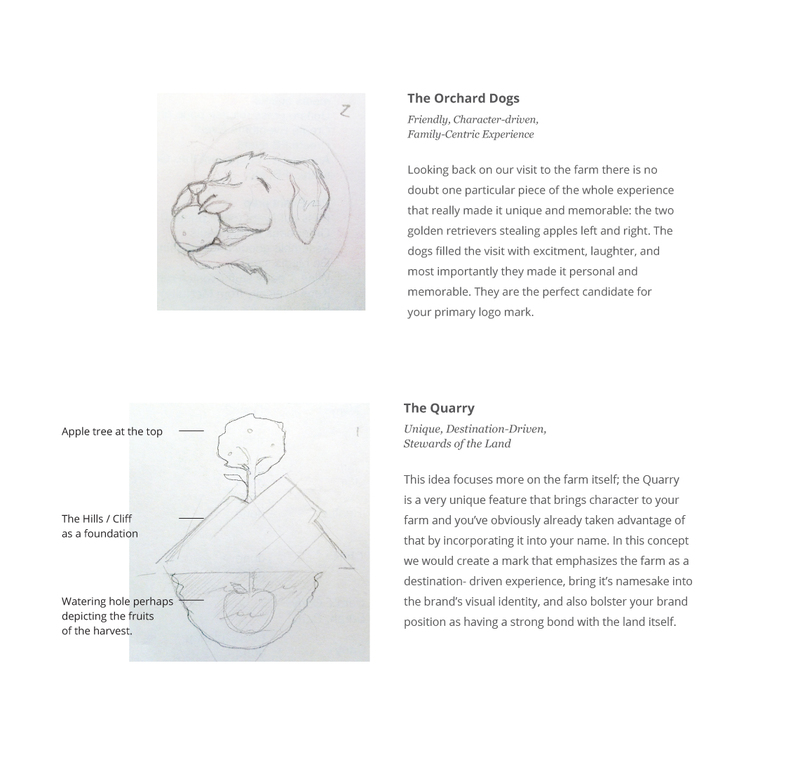 Along with the Farm sign, the Quarry concept above resonated with the client. From here we take the development one step further into a more refined visual, which you see below. At this point in the project we came back to the sign for further refinement. Here you see two alternates that were made along the way.